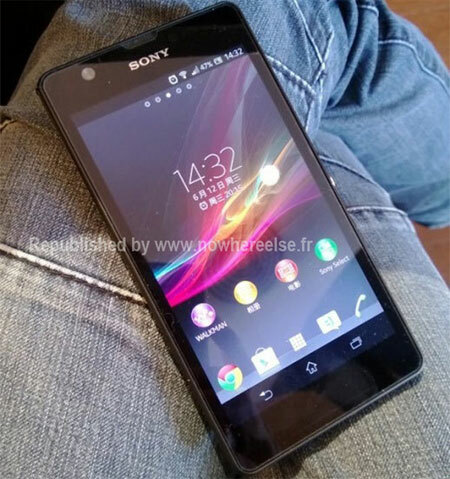 The soon-to-be-announced Sony Xperia ZU (standing for Z Ultra) has appeared in a photo taken in the wild. That's not the first time we take a glimpse of Sony's first phablet, but it's the first time we see its 6.44-inch display turned on. Just like the Xperia Z, the Xperia Z Ultra will have a Nexus-like trio of on-screen buttons at the bottom of its full HD display. The purported photo of the smartphone above might very well be fabricated, but it looks pretty convincing to us. We've already seen Sony's hint of the Xperia Z Ultra (codenamed Togari) in the official press invitation, confirming the device will feature a really thin profile, but we don't yet know how the sheer size of the smartphone will affect its weight. Regardless, the photo voids a rumor from yesterday, which suggested Sony is going to make some changes to the way its custom UI looked with Android 4.2. Seeing from the photo above, that couldn't be further from the truth, as the Xperia Z Ultra seems to look in line with previous versions of the UI. Update: Many of you believe that the smartphone on the photo is in fact the Xperia ZR and upon a closer inspection we agree it's a possibility. However, the smartphone shown on the photo looks to be a lot bigger than 4.55 inches, which lead us to believe its the Xperia Z Ultra. Nevertheless, many of you are right in thinking the edges of the phone in the photo above aren't as straight as previous leaks of the Xperia Z Ultra have showed. Since there isn't a very clear photo of the Xperia Z Ultra yet, it's anyone's guess what we are actually looking at. 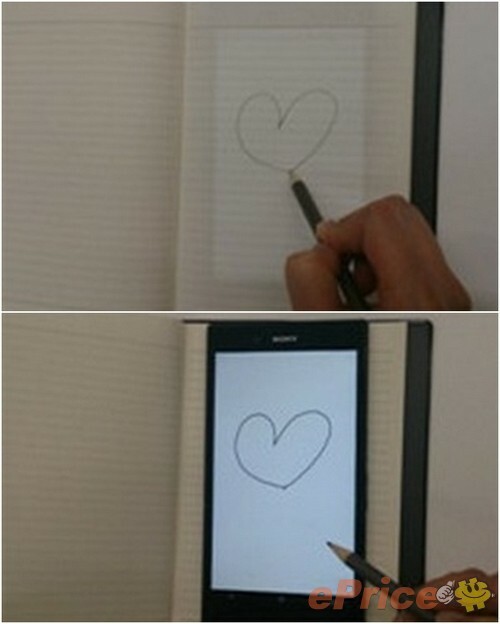 Meanwhile, a new alleged photo of Sony's phablet has popped up, proving it can be used with a pencil. Check it out below, courtesy of ePrice. Most people however do look at their phones in varying angles constantly.